Talk about crazy engine swaps. Wojtek Gozdziewicz from Poland swapped in a Volkswagen VR6 Turbo engine in his BMW E36! He used the 3.2L VR6 R32 BUB engine from a Golf Mk5 R32. The engine was de-stroked to 3.0L thanks to a 2.8 L 12v VR6 crankshaft and upgraded with Techno5 forged connecting rods! This combination is a killer setup, for easily 600+HP! 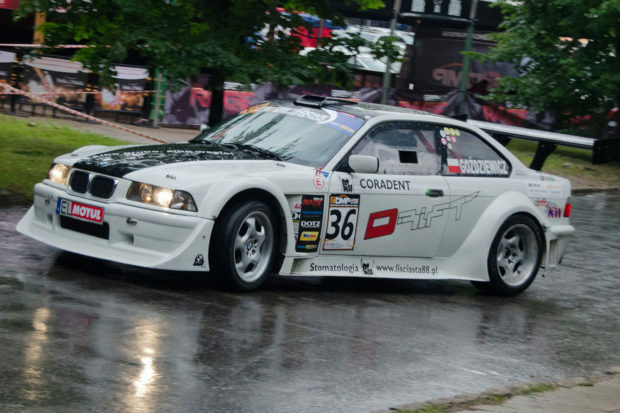 After placing a big turbocharger they were able to produce 700HP and 800NM of torque for this badass drift BMW E36! The transmission is from a 330i E46 fitted to this VR6 engine. Honda SUPRA – 1100hp 2JZ S2000! 24 INCREDIBLE FAST TURBO VTEC Hondas! 1700hp CTS-V Breaks WORLD RECORD!